"David: beloved, the eighth and youngest son of Jesse, a citizen of Bethlehem. His father seems to have been a man in humble life. His mother's name is not recorded. Some think she was the Nahash of 2 Samuel 17:25. As to his personal appearance, we only know that he was red-haired, with beautiful eyes and a fair face (1 Samuel 16:12; 17:42). His early occupation was that of tending his father's sheep on the uplands of Judah. From what we know of his after history, doubtless he frequently beguiled his time, when thus engaged, with his shepherd's flute, while he drank in the many lessons taught him by the varied scenes spread around him. His first recorded exploits were his encounters with the wild beasts of the field. He mentions that with his own unaided hand he slew a lion and also a bear, when they came out against his flock, beating them to death in open conflict with his club (1 Samuel17:34,35). While David, in the freshness of ruddy youth, was thus engaged with his flocks, Samuel paid an unexpected visit to Bethlehem, having been guided thither by divine direction (1 Samuel 16:1-13). There he offered up sacrifice, and called the elders of Israel and Jesse's family to the sacrificial meal. Among all who appeared before him he failed to discover the one he sought. David was sent for, and the prophet immediately recognized him as the chosen of God, chosen to succeed Saul, who was now departing from the ways of God, on the throne of the kingdom. He accordingly, in anticipation, poured on his head the anointing oil. David went back again to his shepherd life, but "the Spirit of the Lord came upon David from that day forward," and "the Spirit of the Lord departed from Saul" (1 Samuel 16:13,14). Not long after this David was sent for to soothe with his harp the troubled spirit of Saul, who suffered from a strange melancholy dejection. He played before the king so skilfully that Saul was greatly cheered, and began to entertain great affection for the young shepherd. After this he went home to Bethlehem. But he soon again came into prominence. The armies of the Philistines and of Israel were in battle array in the valley of Elah, some 16 miles south-west of Bethlehem; and David was sent by his father with provisions for his three brothers, who were then fighting on the side of the king. On his arrival in the camp of Israel, David (now about twenty years of age) was made aware of the state of matters when the champion of the Philistines, Goliath of Gath, came forth to defy Israel. David took his sling, and with a well-trained aim threw a stone "out of the brook," which struck the giant's forehead, so that he fell senseless to the ground. David then ran and slew him, and cut off his head with his own sword (1 Samuel 17:1-58). The result was a great victory to the Israelites, who pursued the Philistines to the gates of Gath and Ekron. David's popularity consequent on this heroic exploit awakened Saul's jealousy (1 Samuel 18:6-16), which he showed in various ways. He conceived a bitter hatred toward him, and by various stratagems sought his death (1 Samuel 18:1 -30:30). The deep-laid plots of the enraged king, who could not fail to observe that David "prospered exceedingly," all proved futile, and only endeared the young hero the more to the people, and very specially to Jonathan, Saul's son, between whom and David a life-long warm friendship was formed. A fugitive. To escape from the vengeance of Saul, David fled to Ramah (1 Samuel 19:12-18) to Samuel, who received him, and he dwelt among the sons of the prophets, who were there under Samuel's training. It is supposed by some that the sixth, seventh, and eleventh Psalms were composed by him at this time. This place was only 3 miles from the residence of Saul, who soon discovered whither the fugitive had gone, and tried ineffectually to bring him back. Jonathan made a fruitless effort to bring his father to a better state of mind toward David (1 Samuel 20:1-42), who, being made aware of the fact, saw no hope of safety but in flight to a distance. We accordingly find him first at Nob (1 Samuel 21:1-9) and then at Gath, the chief city of the Philistines. 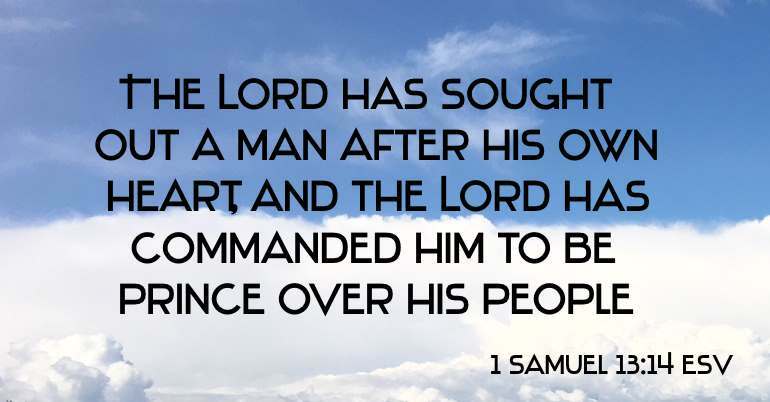 The king of the Philistines would not admit him into his service, as he expected that he would, and David accordingly now betook himself to the stronghold of Adullam (1 Samuel 22:1-4; 1 Chronicles 12:8-18). Here in a short time 400 men gathered around him and acknowledged him as their leader. It was at this time that David, amid the harassment and perils of his position, cried, "Oh that one would give me drink of the water of the well of Bethlehem;" when three of his heroes broke through the lines of the Philistines and brought him the water for which he longed (2 Samuel 23:13-17), but which he would not drink. In his rage at the failure of all his efforts to seize David, Saul gave orders for the massacre of the entire priestly family at Nob, "persons who wore a linen ephod", to the number of eighty-five persons, who were put to death by Doeg the Edomite. The sad tidings of the massacre were brought to David by Abiathar, a son of Ahimelech, the only one who escaped. Comp. 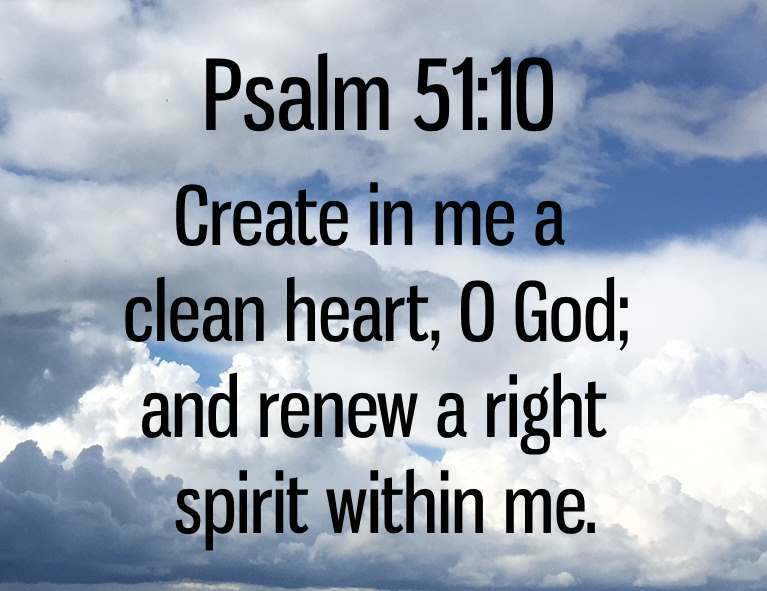 Psalm 52:1-9. Hearing that Keilah, a town on the western frontier, was harassed by the Philistines, David with his men relieved it (1 Samuel 23:1-14); and then, for fear of Saul, he fled to the strongholds in the "hill country" of Judah. Comp. Psalm 31:1-24. While encamped there, in the forest in the district of Ziph, he was visited by Jonathan, who spoke to him words of encouragement (1 Samuel 23:16-18). The two now parted never to meet again. Saul continued his pursuit of David, who narrowly escaped from him at this time, and fled to the crags and ravines of Engedi, on the western shore of the Dead Sea (1 Samuel 23:29). Here Saul, who still pursued him with his army, narrowly escaped, through the generous forbearance of David, and was greatly affected by what David had done for him. He returned home from pursuing him, and David betook himself to Maon, where, with his 600 men, he maintained himself by contributions gathered from the district. Here occurred the incident connected with Nabal and his wife Abigail (1 Samuel 25:1-43), whom David married after Nabal's death. Saul again went forth ( 1 Samuel 26:1-25) in pursuit of David, who had hid himself "in the hill Hachilah, which is before Jeshimon," in the wilderness of Ziph, and was a second time spared through his forbearance. He returned home, professing shame and penitence for the way in which he had treated David, and predicting his elevation to the throne. Fighting against Israel. Harassed by the necessity of moving from place to place through fear of Saul, David once more sought refuge among the Philistines (1 Samuel 27:1-12). He was welcomed by the king, who assigned him Ziklag as his residence. Here David lived among his followers for some time as an independent chief engaged in frequent war with the Amalekites and other tribes on the south of Judah. Achish summoned David with his men to join his army against Saul; but the lords of the Philistines were suspicious of David's loyalty, and therefore he was sent back to Ziklag, which he found to his dismay may had been pillaged and burnt during his brief absence. David pursued after the raiders, the Amalekites, and completely routed them. On his return to Ziklag tidings reached him of Saul's death (2 Samuel 1:27). An Amalekite brought Saul's crown and bracelet and laid them at his feet. David and his men rent their clothes and mourned for Saul, who had been defeated in battle near Mount Gilboa. David composed a beautiful elegy, the most beautiful of all extant Hebrew odes, a "lamentation over Saul and over Jonathan his son" (2 Samuel 1:18-27). It bore the title of "The Bow," and was to be taught to the children, that the memory of Saul and Jonathan might be preserved among them. "Behold, it is written in the book of Jasher" (which see). David king over Judah. David and his men now set out for Hebron under divine direction (2 Samuel 2:1-4). There they were cordially welcomed, and he was at once anointed as king. He was now about thirty years of age. But his title to the throne was not undisputed. Abner took Ish-bosheth, Saul's only remaining son, over the Jordan to Mahanaim, and there crowned him as king. Then began a civil war in Israel. The first encounter between the two opposing armies, led on the one side by Abner, and on the other by Joab, took place at the pool of Gibeon. It resulted in the defeat of Abner. Other encounters, however, between Israel and Judah followed (2 Samuel 3:1,5), but still success was on the side of David. For the space of seven and a half years David reigned in Hebron. Abner now sided with David, and sought to promote his advancement; but was treacherously put to death by Joab in revenge for his having slain his brother Asahel at Gibeon (2 Samuel 3:22-39). This was greatly to David's regret. He mourned for the death of Abner. Shortly after this Ish-bosheth was also treacherously put to death by two Canaanites of Beeroth; and there being now no rival, David was anointed king over all Israel (2 Samuel 4:1-12). David king over all Israel (2 Samuel 5:1-5; 1 Chronicles 11:1-3). The elders of Israel now repaired to Hebron and offered allegiance to David in name of all the people, among whom the greatest enthusiasm prevailed. He was anointed king over all Israel, and sought out a new seat of government, more suitable than Hebron, as the capital of his empire. At this time there was a Jebusite fortress, "the stronghold", on the hill of Zion, called also Jebus. This David took from the Jebusites, and made it Israel's capital, and established here his residence, and afterwards built for himself a palace by the aid of Tyrian tradesmen. The Philistines, who had for some time observed a kind of truce, now made war against David; but were defeated in battle at a place afterwards called, in remembrance of the victory, Baal-perazim. Again they invaded the land, and were a second time routed by him. He thus delivered Israel from their enemies. David now resolved to bring up the Ark of the Covenant to his new capital (2 Samuel 6:1-23). It was in the house of Abinadab at Kirjath-jearim, about 7 miles from Jerusalem, where it had been for many years, from the time when the Philistines had sent it home (1 Samuel 6:1 - 7;17). In consequence of the death of Uzzah (for it was a divine ordinance that only the Levites should handle the ark, Numbers 4:1-49), who had put forth his hand to steady the ark when the cart in which it was being conveyed shook by reason of the roughness of the road, David stayed the procession, and conveyed the ark into the house of Obed-edom, a Philistine from Gath. After three months David brought the ark from the house of Obed-edom up to Jerusalem. Comp.Psalm 24:1-10. Here it was placed in a new tent or tabernacle which David erected for the purpose. About seventy years had passed since it had stood in the tabernacle at Shiloh. The old tabernacle was now at Gibeah, at which Zadok ministered. David now (1 chronicles 16:1-43) carefully set in order all the ritual of divine worship at Jerusalem, along with Abiathar the high priest. A new religious era began. The service of praise was for the first time introduced into public worship. Zion became henceforth "God's holy hill." David's wars. David now entered on a series of conquests which greatly extended and strengthened his kingdom (2 Samuel 8:1-18). In a few years the whole territory from the Euphrates to the river of Egypt, and from Gaza on the west to Thapsacus on the east, was under his sway (2 Samuel 8:3-13;10). David's fall. He had now reached the height of his glory. He ruled over a vast empire, and his capital was enriched with the spoils of many lands. But in the midst of all this success he fell, and his character became stained with the sin of adultery (2 Samuel 11:2-27). It has been noted as characteristic of the Bible that while his military triumphs are recorded in a few verses, the sad story of his fall is given in detail, a story full of warning, and therefore recorded. This crime, in the attempt to conceal it, led to anoter. He was guilty of murder. Uriah, whom he had foully wronged, an officer of the Gibborim, the corps of heros (2 Samuel 23:39), was, by his order, "set in the front of the hottest battle" at the siege of Rabbah, in order that he might be put to death. Nathan the prophet (2 Samuel 7:1-17; 12:1-23) was sent by God to bring home his crimes to the conscience of the guilty monarch. He became a true penitent. He bitterly bewailed his sins before God. The thirty-second and fifty-first Psalms reveal the deep struggles of his soul, and his spiritual recovery. Bathsheba became his wife after Uriah's death. Her first-born son died, according to the word of the prophet. She gave birth to a second son, whom David called Solomon, and who ultimately succeeded him on the throne (2 Samuel 12:24,25). Peace. After the successful termination of all his wars, David formed the idea of building a temple for the ark of God. This he was not permitted to carry into execution, because he had been a man of war. God, however, sent Nathan to him with a gracious message (2 Samuel 7:1-16). On receiving it he went into the sanctuary, the tent where the ark was, and sat before the Lord, and poured out his heart in words of devout thanksgiving (2 Samuel 7:18-29). The building of the temple was reserved for his son Solomon, who would be a man of peace (1 Chronicles 22:9; 28:3). A cloudy evening. Hitherto David's carrer had been one of great prosperity and success. Now cloudy and dark days came. His eldest son Amnon, whose mother was Ahinoam of Jezreel, was guilty of a great and shameful crime (2 Samuel 13:1-39. This was the beginning of the disasters of his later years. After two years Absalom terribly avenged the crime against Tamar, and put Amnon to death. This brought sore trouble to David's heart. Absalom, afraid of the consequences of his guilt, fled to Geshur beyond Jordan, where he remained for three years, when he was brought back through the intrigue of Joab (2 Samuel 14:1-33). After this there fell upon the land the calamity of three years' famine (2 Samuel 21:1-14). This was soon after followed by a pestilence, brought upon the land as a punishment for David's sinful pride in numbering the people (2 Samuel 24:1-25), in which no fewer than 70,000 perished in the space of three days. Rebellion of Absalom. The personal respect for David was sadly lowered by the incident of Bathsheba. There was a strong popular sentiment against the taking of the census, and the outburst of the plague in connection with it deepened the feeling of jealously that had begun to manifest itself among some of the tribes against David. Absalom, taking full advantage of this state of things, gradually gained over the people, and at length openly rebelled against his father, and usurped the throne. Ahithophel was Absalom's chief counsellor. The revolt began in Hebron, the capital of Judah. Absalom was there proclaimed king. David was now in imminent danger, and he left Jerusalem (2 Samuel 15:13-20), and once more became a fugitive. It was a momentous day in Israel. The incidents of it are recorded with a fulness of detail greater than of any other day in Old Testament history. David fled with his followers to Mahanarm, on the east of Jordan. An unnatural civil war broke out. After a few weeks the rival armies were mustered and organized. They met in hostile array at the wood of Ephraim (2 Samuel 18:1-8). Absalom's army was defeated, and himself put to death by the hand of Joab (2 Samuel 18:9-18). The tidings of the death of his rebellious son filled the heart of David with the most poignant grief. He "went up to the chamber over the gate, and wept" (2 Samuel 18:33), giving utterance to the heart-broken cry, "Would God I had died for thee, O Absalom, my son, my son!" Peace was now restored, and David returned to Jerusalem and resumed the direction of affairs. An unhappy dispute arose between the men of Judah and the men of Israel (2 Samuel 19:41-43). Sheba, a Benjamite, headed a revolt of the men of Israel. He was pursued to Abelbeth-maachah, and was there put to death, and so the revolt came to an end. The end. After the suppression of the rebellion of Absalom and that of Sheba, ten comparatively peaceful years of David's life passed away. During those years he seems to have been principally engaged in accumulating treasures of every kind for the great temple at Jerusalem, which it was reserved to his successor to build (1 Chronicles 22:1-19; 28:1-21; 29:30), a house which was to be "exceeding magnifical, of fame and of glory throughout all countries" (1 Chronicles 22:5). The exciting and laborious life he had spent, and the dangers and trials through which he had passed, had left him an enfeebled man, prematurely old. It became apparent that his life was now drawing to its close. A new palace conspiracy broke out as to who should be his successor. Joab favoured Adonijah. The chiefs of his party met at the "Fuller's spring," in the valley of Kidron, to proclaim him king; but Nathan hastened on a decision on the part of David in favour of Solomon, and so the aim of Adonijah's party failed. Solomon was brought to Jerusalem, and was anointed king and seated on his father's throne (1 Kings 1:11-53). David's last words are a grand utterance, revealing his unfailing faith in God, and his joyful confidence in his gracious covenant promises (2 Samuel 23:1-7). After a reign of forty years and six months (2 Samuel 5:5; 1 Chronicles 3:4) David died (B.C. 1015) at the age of seventy years, "and was buried in the city of David." His tomb is still pointed out on Mount Zion. Both in his prophetical and in his regal character David was a type of the Messiah (1 Samuel 16:13). The book of Psalms commonly bears the title of the "Psalms of David," from the circumstance that he was the largest contributor (about eighty psalms) to the collection. 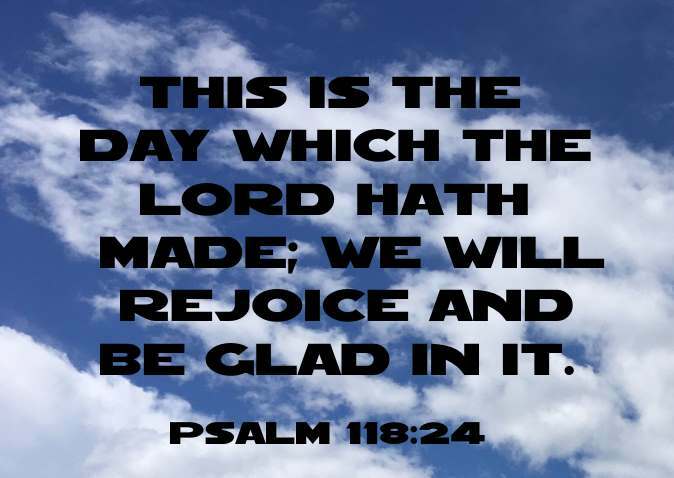 (See PSALMS). "The greatness of David was felt when he was gone. He had lived in harmony with both the priesthood and the prophets; a sure sign that the spirit of his government had been thoroughly loyal to the higher aims of the theocracy. The nation had not been oppressed by him, but had been left in the free enjoyment of its ancient liberties. As far as his power went he had striven to act justly to all (2 Samuel 8:15). His weak indulgence to his sons, and his own great sin besides, had been bitterly atoned, and were forgotten at his death in the remembrance of his long-tried worth. He had reigned thirty-three years in Jerusalem and seven and a half at Hebron (2 Samuel 5:5). Israel at his accession had reached the lowest point of national depression; its new-born unity rudely dissolved; its territory assailed by the Philistines. But he had left it an imperial power, with dominions like those of Egypt or Assyria. The sceptre of Solomon was already, before his father's death, owned from the Mediterranean to the Euphrates, and from the Orontes to the Red Sea. ", Geikie's Hours etc., iii."